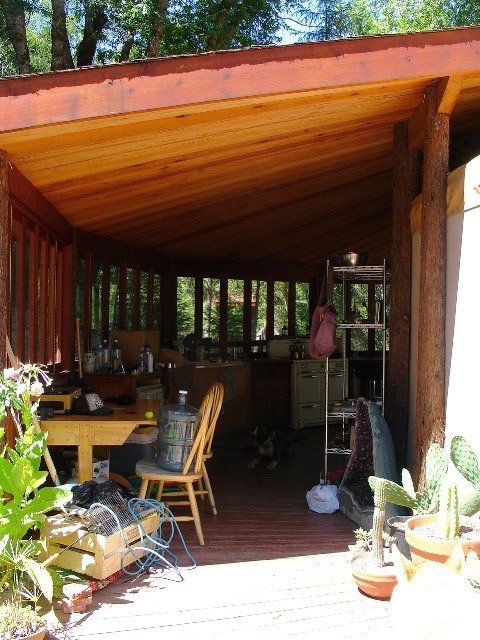 Mudroom/Porch/Pantry – We must have something in place to give us a little bit of protection and operational space just outside the yurt door. When we expect to be battling many feet of snow, we need a little area to gear up before going out and to shake the flakes off when coming back in. This space will have a bench and coat closet, and will be large enough to keep water and food storage close by. Because the yurt is in a temporary placement and of an ‘unconventional’ shape for building with conventional methods, the design of the enclosure is a little unconventional as well since it’s only meant to be used for one season. We’re not real sure how this is all going to turn out with the curved walls and pitched roof (and a really rough raw dirt sloping floor), but we’ll be posting more about that for comic relief a little later. Solar panels – Our current set-up worked great for the summer, but we need to make changes to elevate the panels off the ground so they aren’t covered in snow and can catch the best angle for maximum sun exposure. Since PV mounting and tracking systems can be very costly and complicated, we have a simple modification planned that we hope will work out to meet our expectations without a big expense. Again, stay tuned in the next couple of weeks to see how this little project turns out. Cutting firewood – Considered to be THE most important preparation, we are still hard at it cutting and hauling wood to ensure warmth this winter. How much is enough? Is the wood good to burn? Where is the nearest supply? How cold is it REALLY going to be? Can we keep the fire going through the night? We just don’t know what the future holds, so we are giving all our extra time to bringing in the logs and hoping for the best. 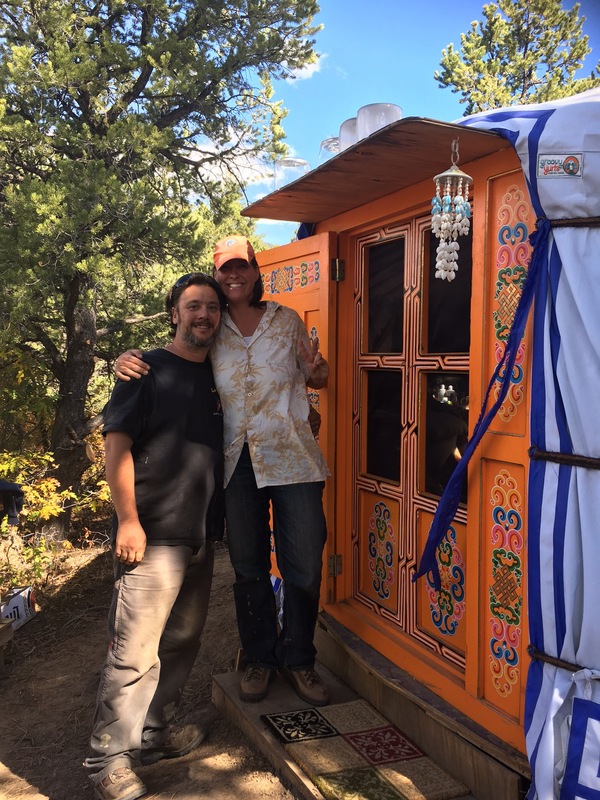 Caretaking for the little yurt – We thought we already had our hands full with making sure our Super Ger makes it through the winter with ourselves warmly tucked inside, but now we have a commitment to remove snow, monitor for critters, tighten ropes, etc. as needed for Mark’s 3-wall ger while he is in Florida. Just making it there could be a challenge since the path down to his place winds through the trees and we really don’t know how the walk is going to be with 3+ feet of snow on the ground, but we have snowshoes at the ready!! Holiday plans – Being closer to family here in the area definitely has it’s advantages, i.e. many invitations to enjoy special meals and the company of our loved ones. While we’d love to accept them all, we just can’t. Traveling in the winter is already hectic when the road and runway conditions deteriorate, but we may not be able to go past our driveway! We’ve just been telling everyone that we will be there if we can, but don’t count on it. 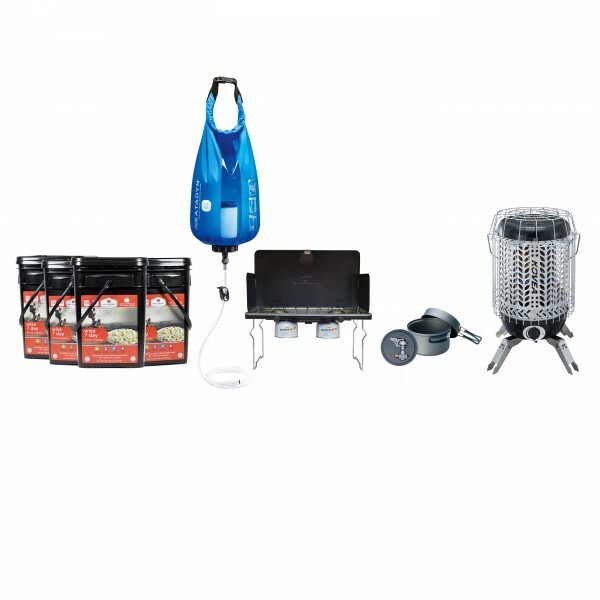 It’s our hope that we can at least get away for Thanksgiving, but we’ll still be looking for a good option to make a celebratory meal while off-grid. Either way, we have a perfect excuse to try out the new turkey roaster rack in our Sun Oven!! Even amid the hustle to prep, Autumn is just beautiful here with big blue skies, golden leaves, and pleasant temps. We’ve been doing our best to enjoy all that harvest season has to offer, and have even managed to pluck a handful of pinon nuts before the birds and squirrels snatched them! Taking the long way home through the forest is certainly something special this time of year with the blazing Aspen leaves showering down upon us. Sahalee definitely has a way of settling a busy mind. I am constantly reminded to slow down, take note of nature’s way, and celebrate the small successes. Thanks, Murfam!! ;P I think we could definitely write a book about what NOT to do after all this! I would tell you what you should’ve done and what you should do but you would just get pissed off. But I will if you want ! Oh boy! I hadn’t really thought about the walk to the mini-yurt in winter, but you’re right, it could be quite the challenge. Looks like I’ll be needing a pair of those super-duper snowshoes too!! Can’t wait to see what you come up with for the mudroom/porch/pantry. And since Radar wasn’t in the picture, I can only assume that she either hadn’t gotten up yet or had already put herself to bed. Hugs from Cocoa!